18-wheelers, heavy haul trucks, garbage trucks, and other commercial trucks are necessary to our economy. Given the materials that they haul, often hazardous, and given the weight of the vehicles, driver safety is paramount. According to the National Highway Traffic Safety Administration (NHTSA), 12 percent of all traffic fatalities in 2012 involved large trucks. Large trucks accounted for 8% of all vehicles involved in fatal crashes. If you’ve been involved in crash with an 18-wheeler, a personal injury lawyer can help. Heavy loads increase the amount of stopping and reaction time the driver needs to safely operate the truck. Speeding is one of the most prevalent factors contributing to traffic crashes. NHTSA estimated that in 2012 speeding was a contributing factor in 30% of all fatal crashes, and 10, 219 lives were lost in speeding-related crashes. The experienced truck accident attorneys of The Law Office of Mynor E. Rodriguez P.C. will obtain the truck logs and black box data to investigate whether speeding was a factor in your crash. Driving companies, truck owners, and drivers may neglect their duty to other drivers on the road to make fast and more deliveries. Additionally, trucks may not be adequately maintained in order to keep them on the road and avoid downtime. 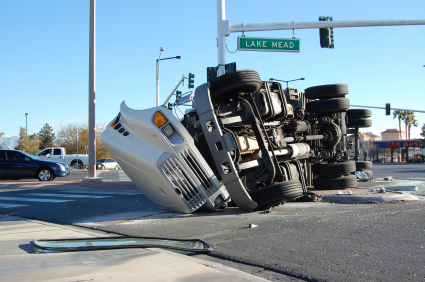 Truck and 18-wheeler accidents can cause devastating injuries to those involved. The medical bills resulting from these injuries can place a heavy financial burden on victims and their families, as medical bills can quickly add up. If you’ve been injured during a trucking accident, you may have grounds to seek compensation to cover the cost of your damages. The experienced truck accidents lawyers at The Law Office of Mynor E. Rodriguez P.C. have helped countless individuals who have been hurt in a collision with a large truck. Our lawyers carefully analyze your situation to determine how we can help you. Contact us today.